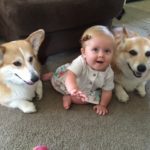 This Throwback Thursday post first appeared on The Daily Corgi in July of 2014. Soon there will be an update on this family. (Hint: They have grown!) 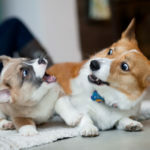 Keep an eye out and enjoy the Corgi Power! 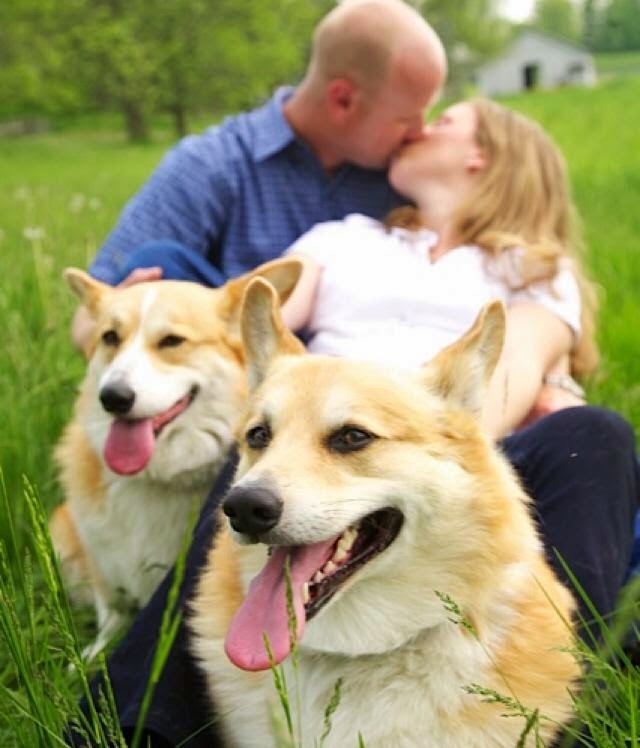 When Jaclyn and Joe got engaged on Christmas, 2012, there was no question their “kids” — Corgis Dierks and Sadie Bells — would be an important part of their wedding. 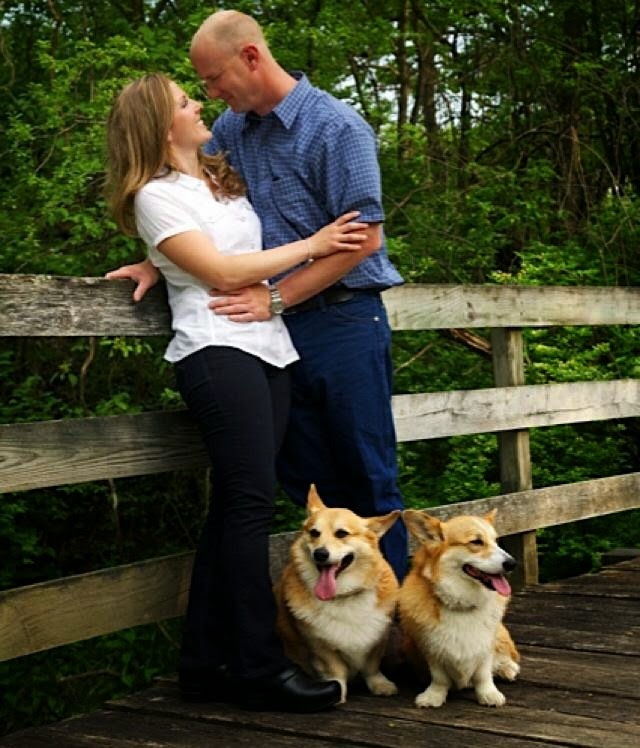 … after all, what’s an engagement photo without a Corgi in it? Lacking that certain Je ne sais quoi, as the French might say. Jaclyn’s retired show horse Jifte joined them for the shoot. 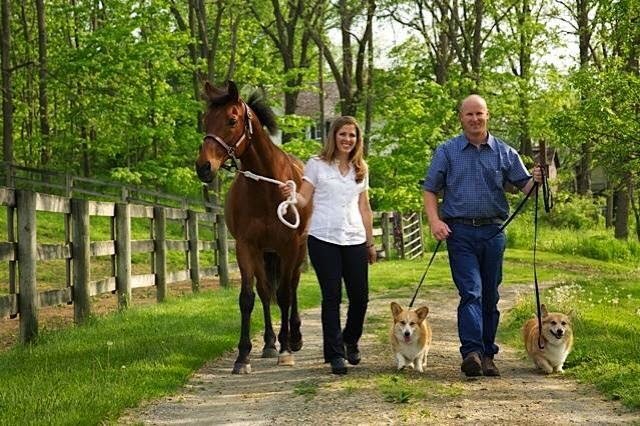 Not a problem for this New York couple’s best buddies, who regularly report to work with Mom at a horse farm. 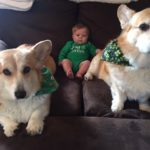 These Corgis are rarely at home alone. 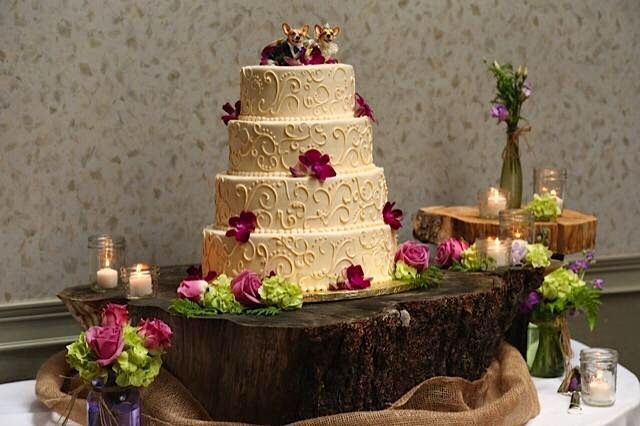 Well, the Big Day rolled around on May 17, 2014. 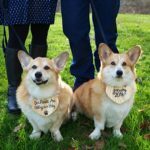 And to nobody’s surprise, the shortest-legged members of the little family helped make Jaclyn and Joe’s wedding an event to remember. The bride wore white. 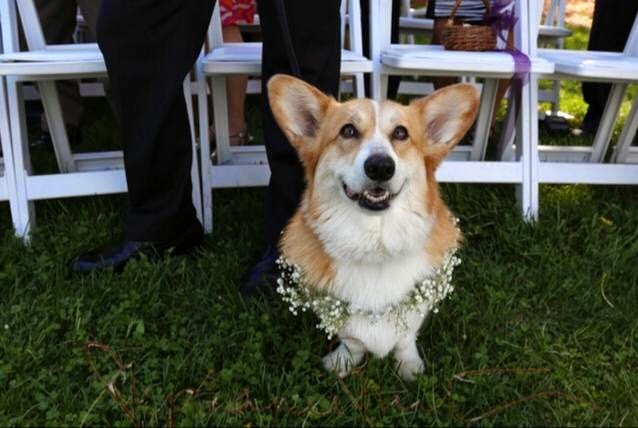 And Corgis. 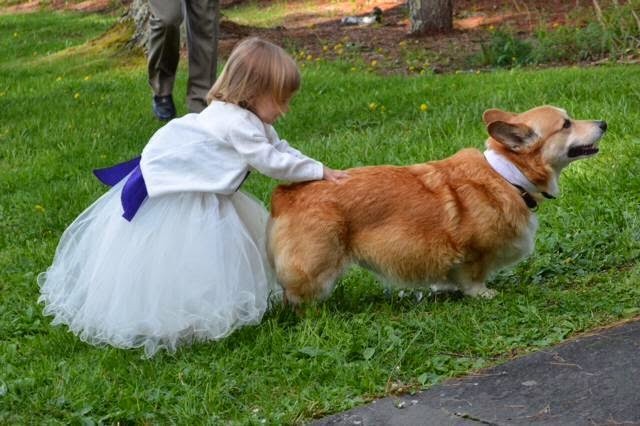 For her birthday the year before, Jaclyn’s Mom had given her the perfect topper for the wedding cake: two Corgis, made to look just like Dierks and Sadie, dressed in wedding finery. 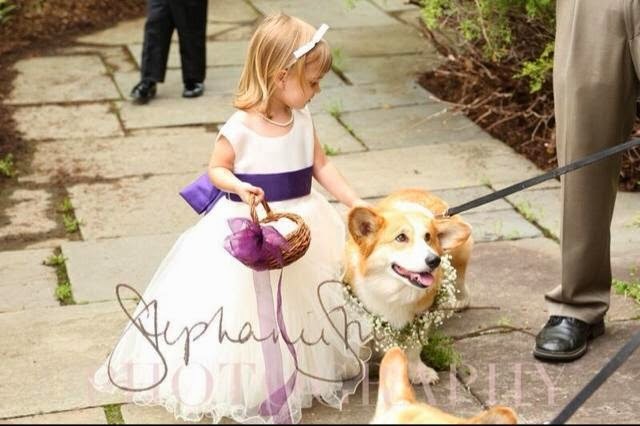 A gown for Sadie and a suit with purple bow tie to match the groom and groomsmen, for dapper Dierks. 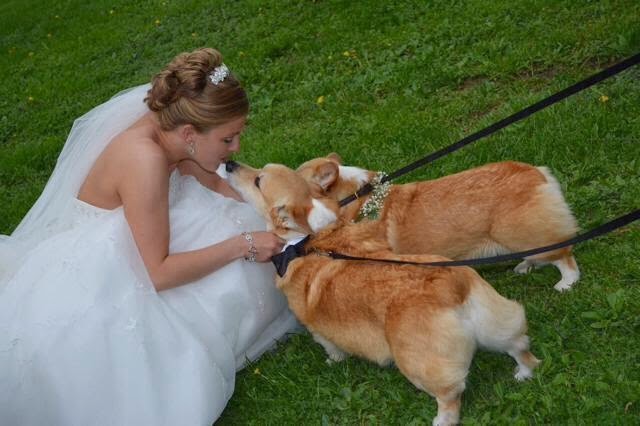 You may now Corgi-kiss the bride. Back scratching is encouraged too! 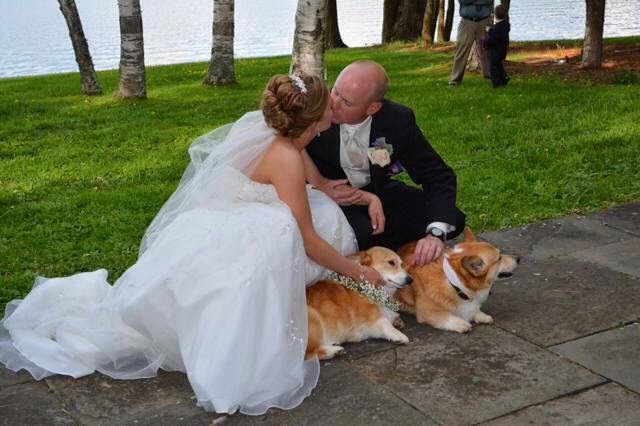 Congratulations and Corgi On, Jaclyn and Joe Prusse! 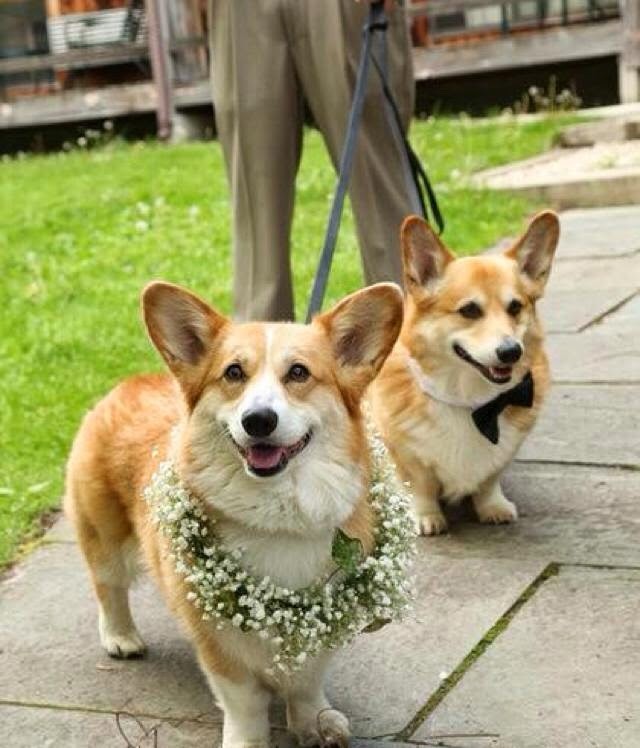 Con-CORG-ulations on your marriage, Jaclyn and Joe. 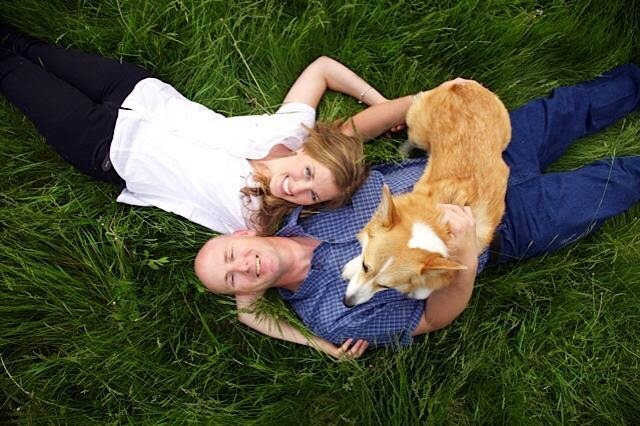 How lovely to see Dierks and Sadie Bells (just love the names) involved in the engagement AND the wedding. 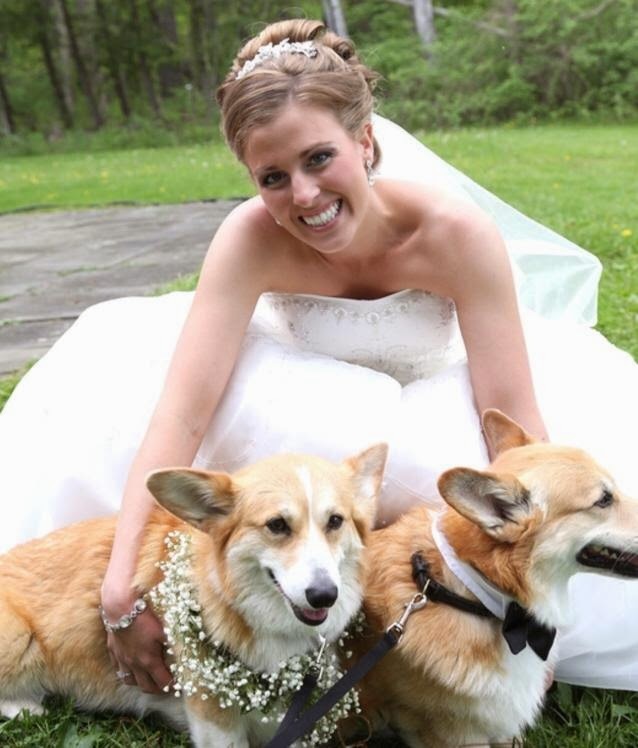 The perfect occasions to include their Corgis. 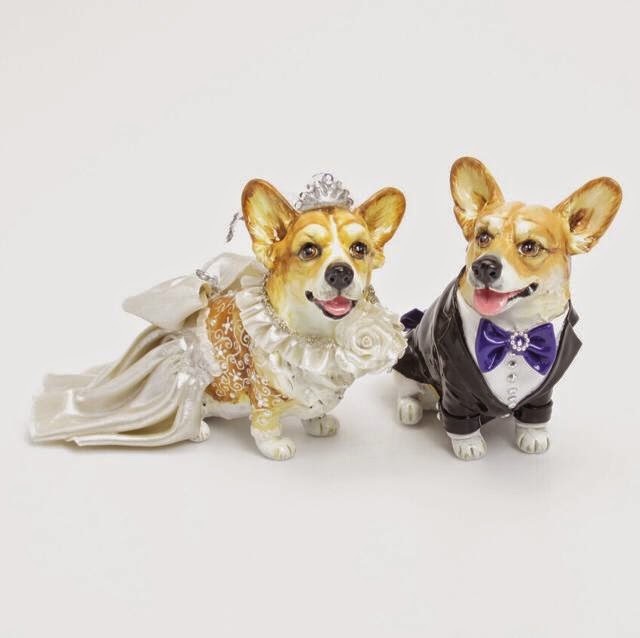 Bless mom for the wedding cake topper of two Corgis to resemble the babies – an excellent idea. 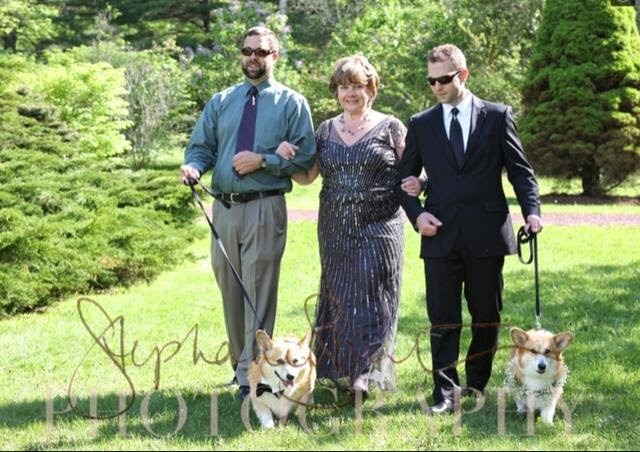 Dierks and Sadie Bells completed the entourage paw-fectly and CORG-eously. Needles to say the bride looked beautiful and the groom, handsome. 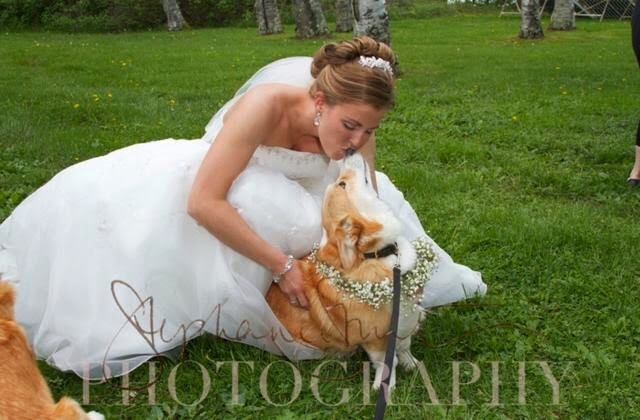 Just loved the caption “you may now Corgi kiss the bride.” How wonderful that the bride’s mom and two brothers walked with them down the aisle and that the guests commented on them..
A Fairy Tale wedding if ever there was one! AWWW!!!! This must be quite exciting. have an awesome life ahead.